Although Portugal's southern most region of Algarve still faces the frigid Atlantic Ocean, its climate during winter is Mediterranean-like — cool and dry with plenty of sunshine. Having a lush landscape with plenty of developed intercity highways as well twisty country roads, Algarve is a scenic place for road trips and leisurely drives. 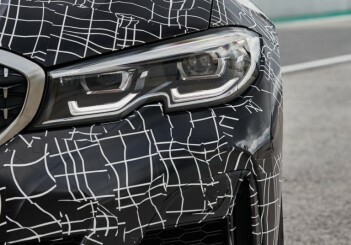 With an international-class race track just outside the region's resort town of Portimao, Algarve is the ideal setting for BMW to showcase the seventh-generation of its 3 Series. 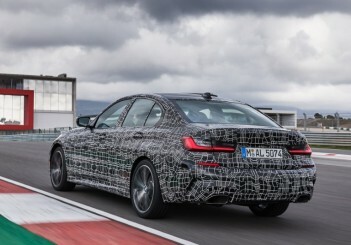 Given the code G20, the latest 3 Series is the continuous refinement and enhancement by BMW of its popular mid-size sports sedan offering which first hit the roads some 40 years ago. 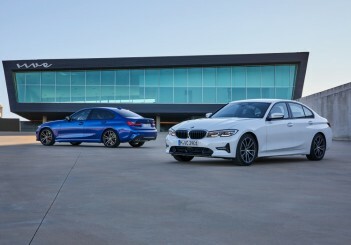 At our disposal during the international media test drive were three variants - the 330i M Sport, 320d Sport Line and M340i xDrive. 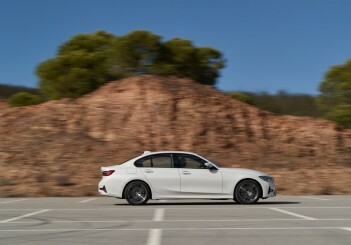 Aside from being bigger and more spacious than the outgoing F30 3 Series model which was introduced in 2012, the all-new G20 also boasts an up to 50% stiffer body, while being some 55kg lighter in overall weight. 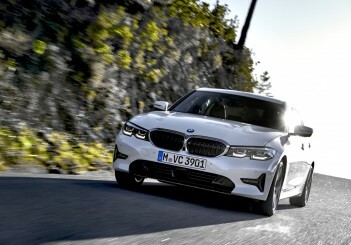 The new 3 Series now has a length of 4,709mm (+76mm), width of 1,827mm (+16mm), height of 1,442mm (+1mm) and wheelbase of 2,851mm (+41mm). In addition, the front track is now wider by 43mm and the rear track by 21mm, which will enhance the G20's handling and cornering stability. 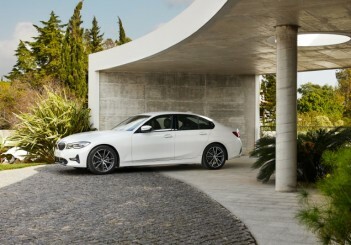 BMW designer Alexey Kezha said the the low slung set-up with a longer body, short front and rear overhangs while maintaining a similar height have resulted in a sedan with sporty proportions. 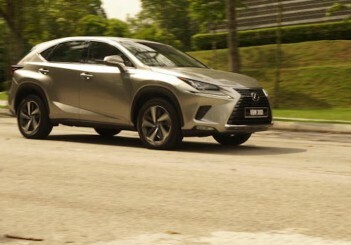 Weight distribution between the front and rear wheels are 50:50. 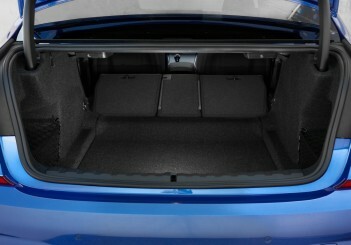 Boot capacity is a generous 480 litres. 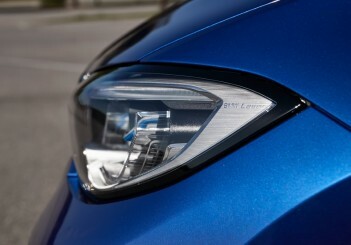 LED headlights are standard and get a notch at the centre to give a twin-lamp or "double-eye" appearance. 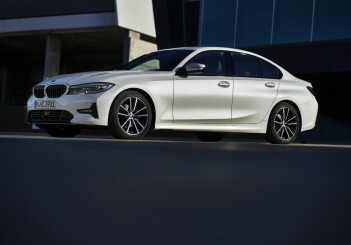 "This notch styling was actually inspired by the headlights of the old E46 3 Series which had somehow been forgotten. 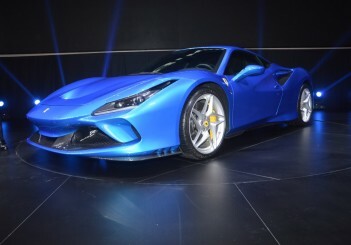 "We have brought back this notch styling and refreshed it into a new design element," Kezha said. 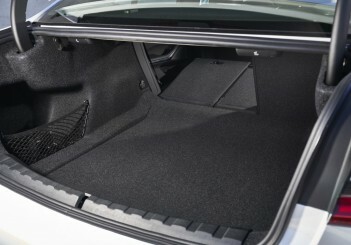 The trademark BMW Hofmeister kink at the trailing end of the rear doors have been repositioned on the C-pillars so the edge of the rear door quarter windows are frameless. 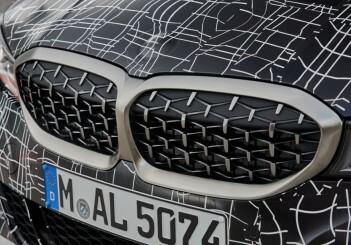 Meanwhile, a thicker and more expressive single chrome surround is used to encase the now larger BMW kidney grille elements. 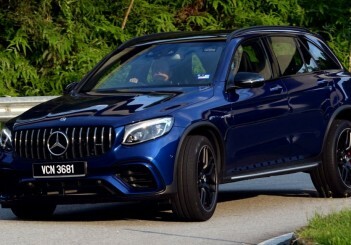 The grille is the active-type which means it's slats will remained closed for better aerodynamics and open only when additional cooling is required by the car. 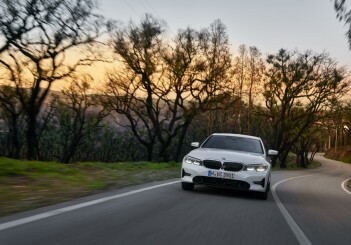 Drag coefficient in the new 3 Series has also been reduced from the previous generation's 0.26Cd to 0.23Cd, allowing for improved fuel efficiency and reduced wind noise. To further reduce noise intrusion into the cabin, A-pillars are foam-filled and acoustic glass for the windscreen is standard. 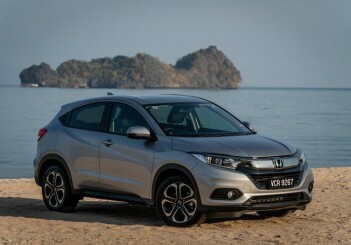 The front doors can also be fitted with acoustic glass as an option if you want the cabin to be as quiet as a luxury E-segment car. 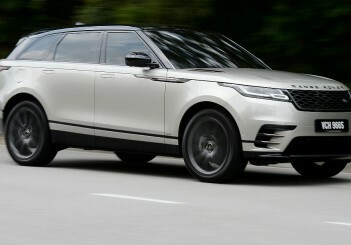 The interior feels more luxurious than before with high quality leather, premium trimmings and a large free-standing high resolution centre display. The sporting flair is retained with the dashboard slightly angled towards the driver for a cockpit-like feel. Instrument panel is completely electronic and can be configured to display navigation guidance and other information. 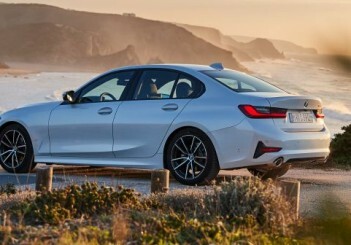 The new 3 Series also features a newly developed suspension system that continuously adjust damper firmness progressively according to driving and road conditions. 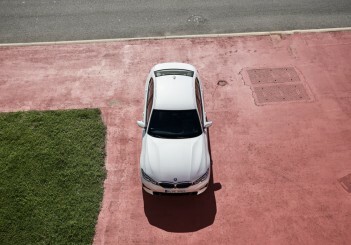 Our first car, the 330i M Sport, comes with a 2.0-litre inline-4 cylinder engine delivering 258hp and 400Nm of torque. The exhaust note is muted with the engine at idle but growled to life when the car started moving. 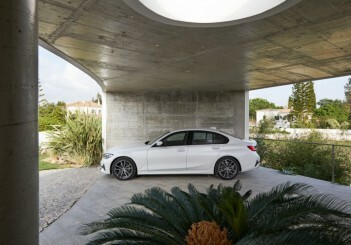 The 330i M Sport picks up pace rapidly and can reach 100kph from standstill in 5.8 seconds. 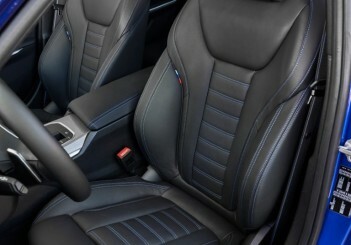 Drive the 330i M Sport sedately and the car responds by providing a relaxed ride and quiet cabin. Despite large 225/40/R19 tyres, ride is surprisingly comfortable even when we were driving on rough country roads outside Faro town. 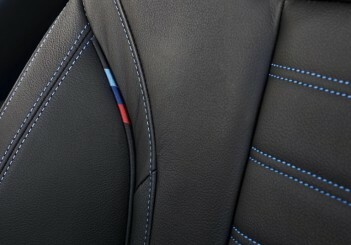 Even with a comfortable ride, the 3 Series still remains firm with minimal body roll when cornering. 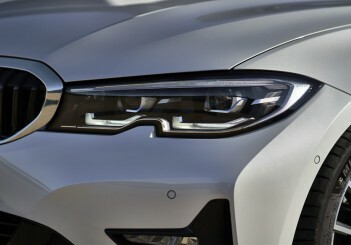 Though LED headlights are standard fitment, they can be upgraded to BMW Laserlight, which has almost double the illumination range at 530m. 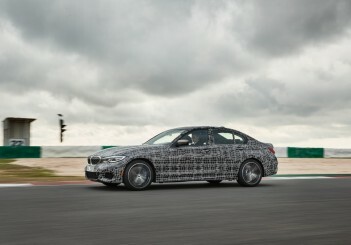 The 330i M Sport also features the BMW Intelligent Personal Assistant that can be activated by saying the prompt sentence “Hey BMW” if which the 3 Series would reply by asking what the user wanted. 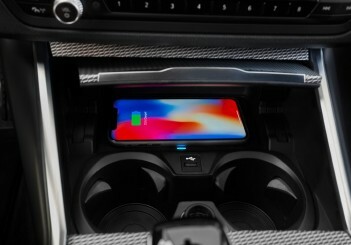 Helpful in setting navigation and setting certain car functions or accessing infotaintment using voice-control, the system can understand 23 languages. 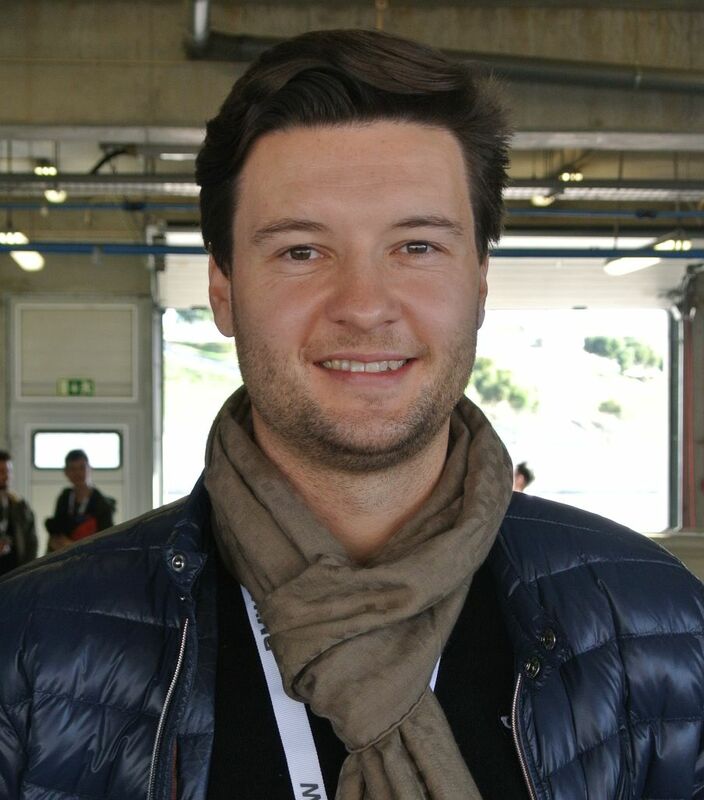 Unlike other car manufacturers, which do not permit the prompt sentence to be changed, BMW's system allows it. Our entertainment system is the upgraded Harmon Kardon surround sound with 16 speakers that has a crisp and clear delivery. 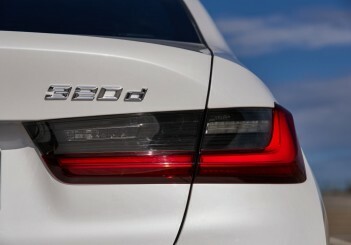 Instead of large side air scoops on the 330i M Sport, the 320d Sport Line has a more elegant-looking T-shaped air vents at the both sides of the front and rear bumpers. 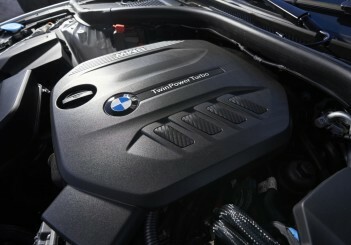 Pushing out less power at 190hp (-68hp) but having the same maximum torque of 400Nm with the 330i M Sport, the 2.0-litre turbodiesel 320d Sport Line delivers a low- to mid-speed performance that is close to the 330i M Sport's. 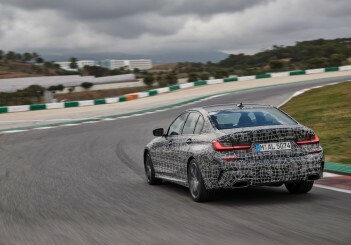 However, with a subdued exhaust note, the 320d Sport Line's aural excitement falls behind. Handling dynamics of the 320d Sport Line is similar to the 330i M Sport's but ride comfort in the turbodiesel variant is a tad better as it uses 225/45/R18 tyres. We also tried out the Driving Assistant Professional, a semi-autonomous driving system that uses a trifocal camera and radar combination. 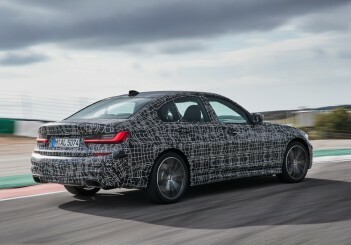 With the semi-autonomous system on, we found that the 320d Sport Line was able to keep itself within its lane much better compared with similar systems we had tried in other car brands. 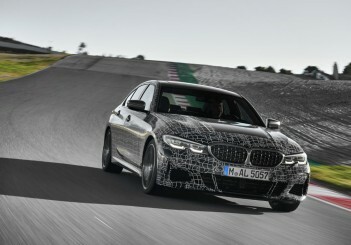 In sharper bends where other the semi-autonomous system of other car brands would had been overwhelmed and alerted for driver intervention, the 320d Sport Line's system continues to steer on without any fuss. The head-up display on the 320d also delivers a greater wealth of driving information compared with its rivals while the 360 degree view camera with Parking Assistant Plus makes parking easy. 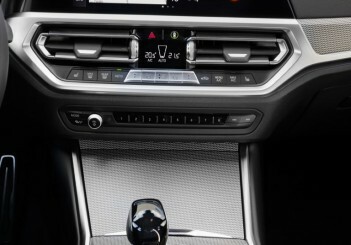 The innovative Reverse Assistant, meanwhile, can reverse the 3 Series out of tight spaces by autonomously steering the exact path used by the car getting in earlier. Featuring the most powerful engine of the three variants, the M340i's 3.0-litre in-line turbocharged engine delivers a mouth-watering 374hp and 500Nm of torque. 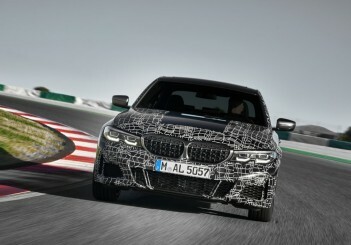 The M340i allocated to us was camouflaged and the visible key difference was the kidney grille, now sporting a mesh design instead of vertical louvres in the 330i M Sport and 320d Sport Line. 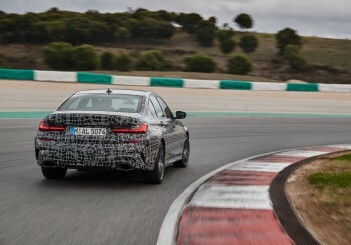 We jumped at the chance to check out the M340i's ultra sporty credentials on the 4.9km long Algarve International Circuit, which features 15 turns. 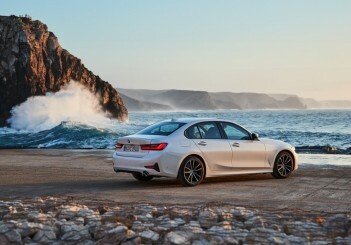 While the low rumble exhaust note of the 330i M SPort was satisfying enough, the M340i's was a few levels more intoxicating and enriching. 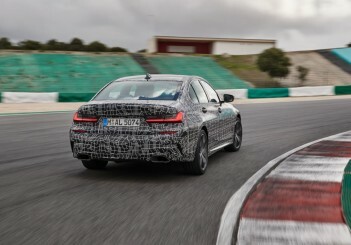 BMW claims the M340i has a 0-100kph sprint time of 4.4 seconds, which is 0.5 second quicker than the fastest outgoing F30 variant. 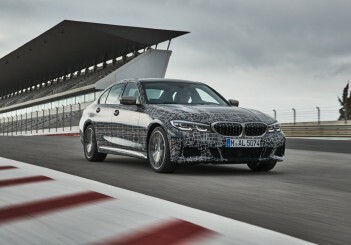 Floor the throttle and the M340i screams and hurls itself forward immediately without hesitation. 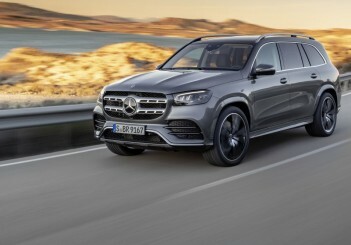 The all-wheel xDrive system has been configured to deliver more power to the rear wheels by default for a more rear-wheel drive sensation but the amount of power to the front and rear axles can be intelligently varied by the car according to performance requirements. 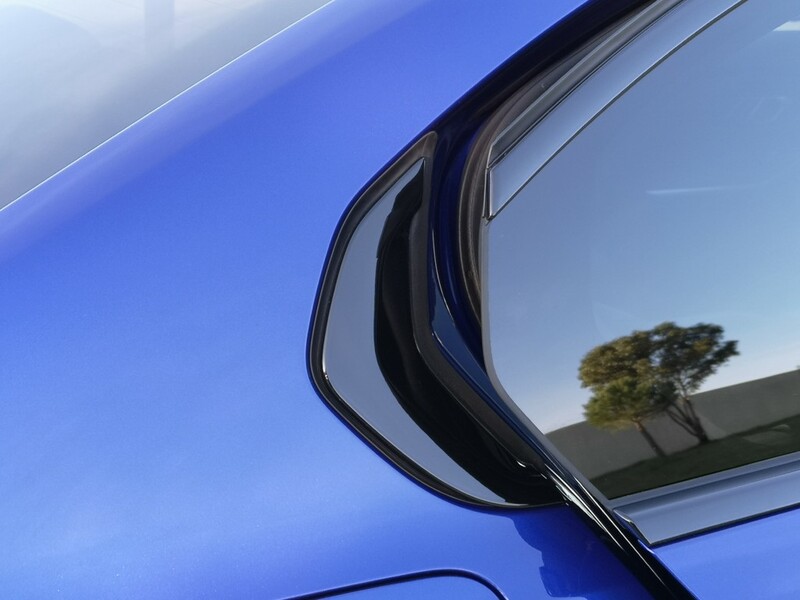 With a lowered ride height and M Sport suspension fitted, sharp corners can be charged into at high speeds with minimal body roll. 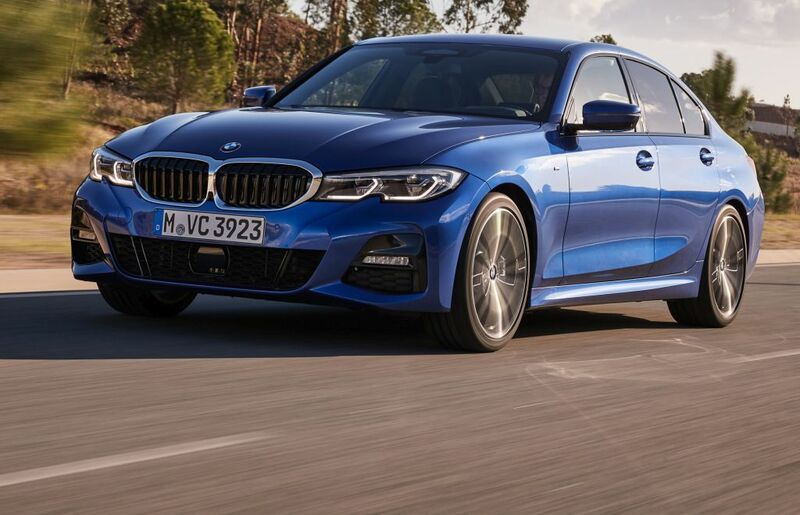 With plenty of grip plowed onto the tarmac, it was not easy to get the M340i to lose its composure even with Dynamic Stability Control switched off. The variable sport steering is pin-sharp but feels little more taut compared to those in the other two variants. 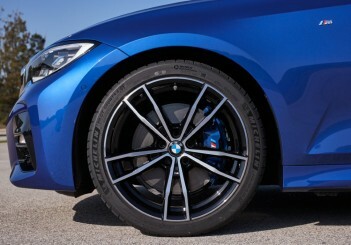 Also, the M Sport Brakes are progressive but can bite hard to slow down the M340i quickly. 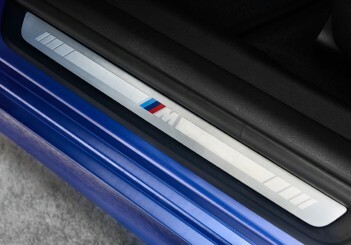 Some 15 million units of the 3 Series have been sold since the first generation E21 model rolled out in 1975. 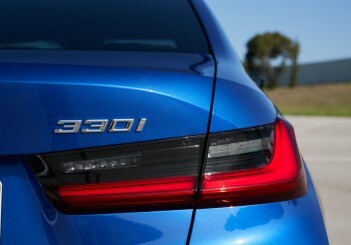 The latest 3 Series raises the bar for the sports sedan segment in performance, driving joy and interior refinement. The G20 line-up will be launched locally this Thursday at the Malaysia International Trade and Exhibition Centre, Kuala Lumpur. 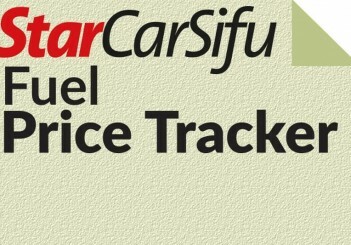 Specifications and prices will be announced then.